Keep your hands nice and dry and warm with our chic 100% wind and waterproof leather gloves. 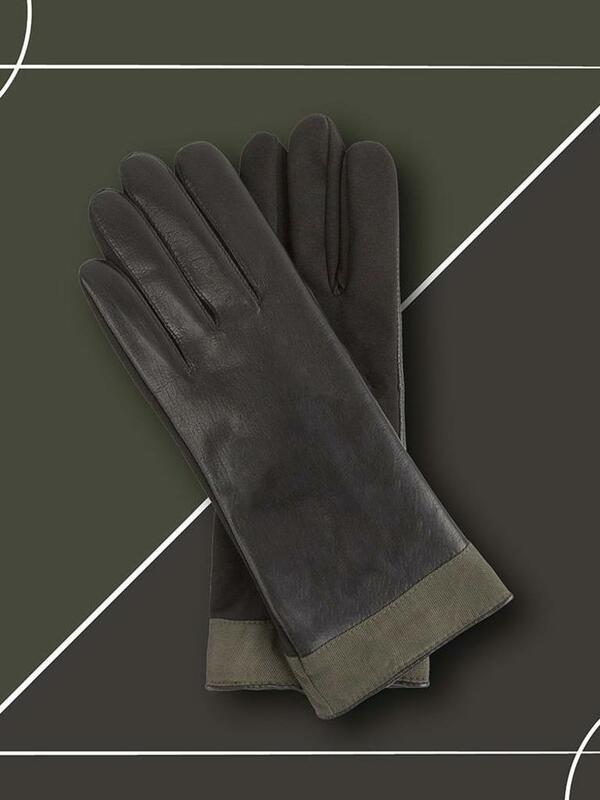 The functional gloves have taped seams & a warm Thinsulate lining. The modern gloves with a minimalist design are 100% windproof, waterproof and have taped seams. The inside of the gloves has a 3M-Thinsulate insulating lining. 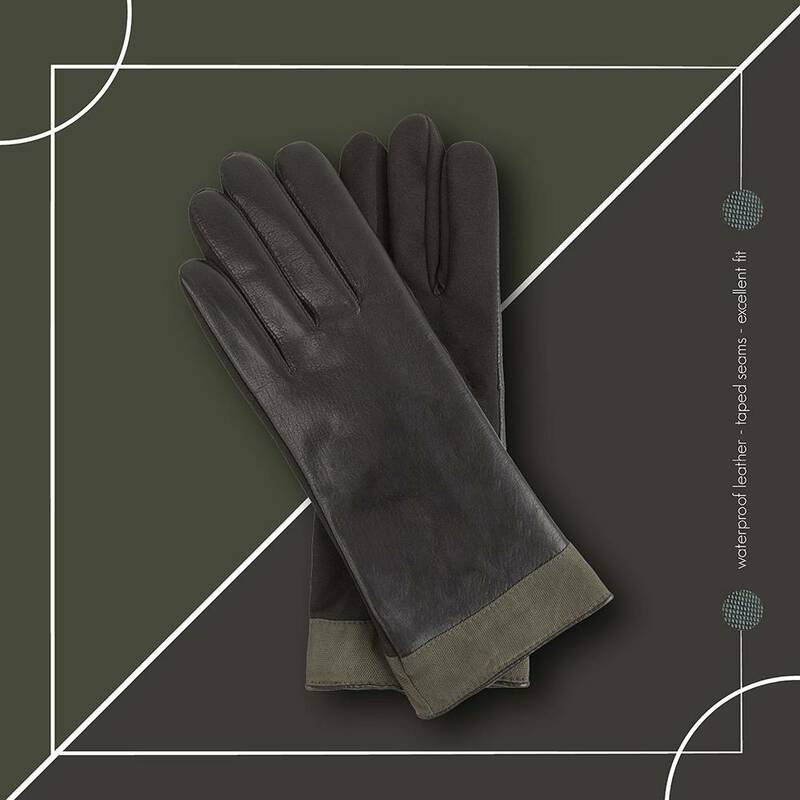 The bottom of these functional gloves are made of a durable and strong textile so that the gloves stay beautiful and last for a long time. The Inside: The gloves keep your hands warm with the 3M Thinsulate isolant lining. 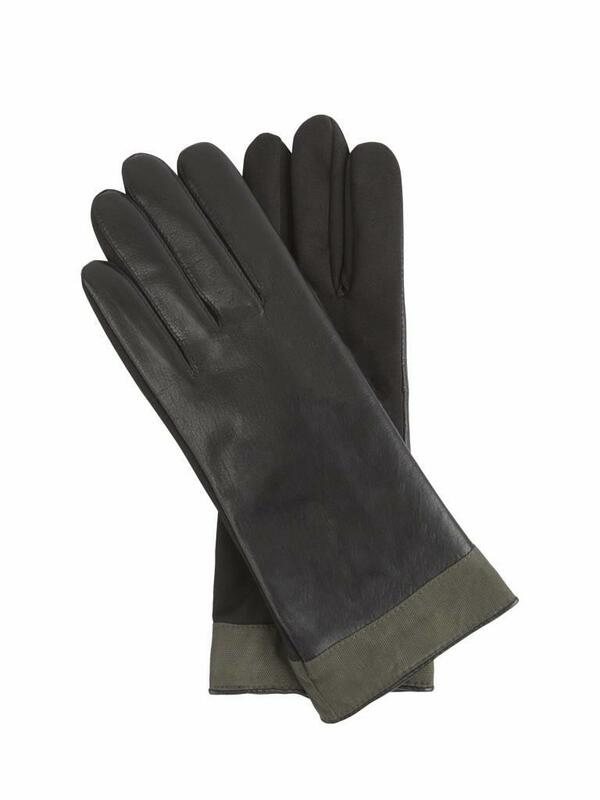 The Outside: The 100% waterproof leather keep your hands dry at the same time. Taped seams, so no leaking when finding yourself in heavy rainy weather. The bottom of the glove is made of a durable & strong waterproof textile mostly used for outdoor purposes, for long lasting usage of the glove. 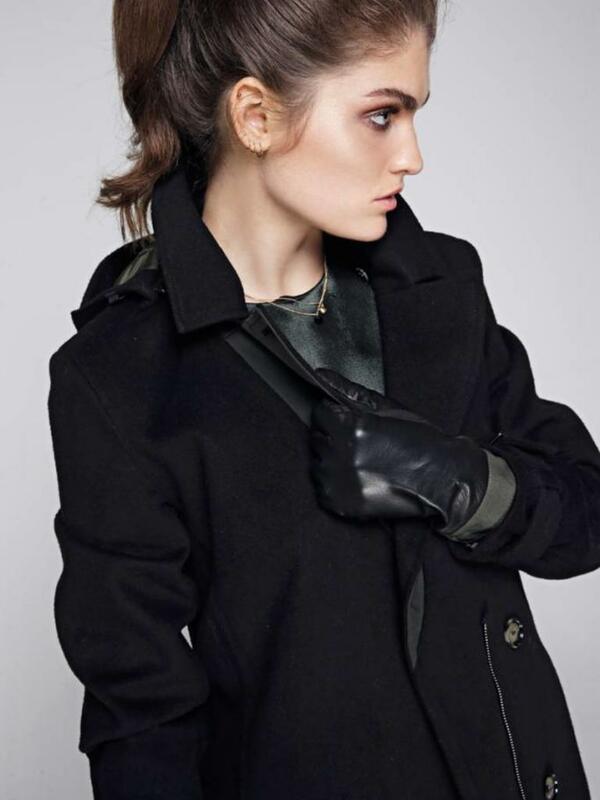 Buy a coat together with the gloves and receive 20 euro discount! Just received my order! Very happy with this waterproof leather glove! Especially, because it's matching to my long green waist belt coat! 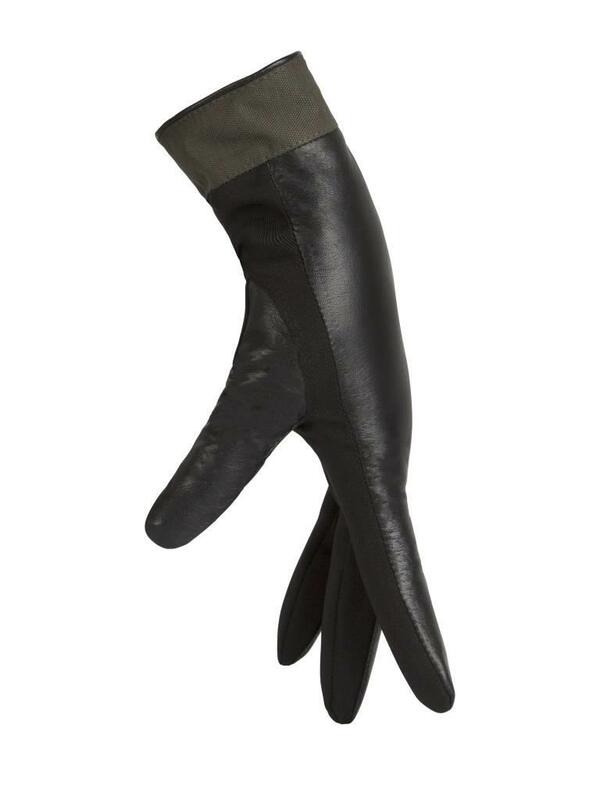 The perfect gloves to complete your outfit with. 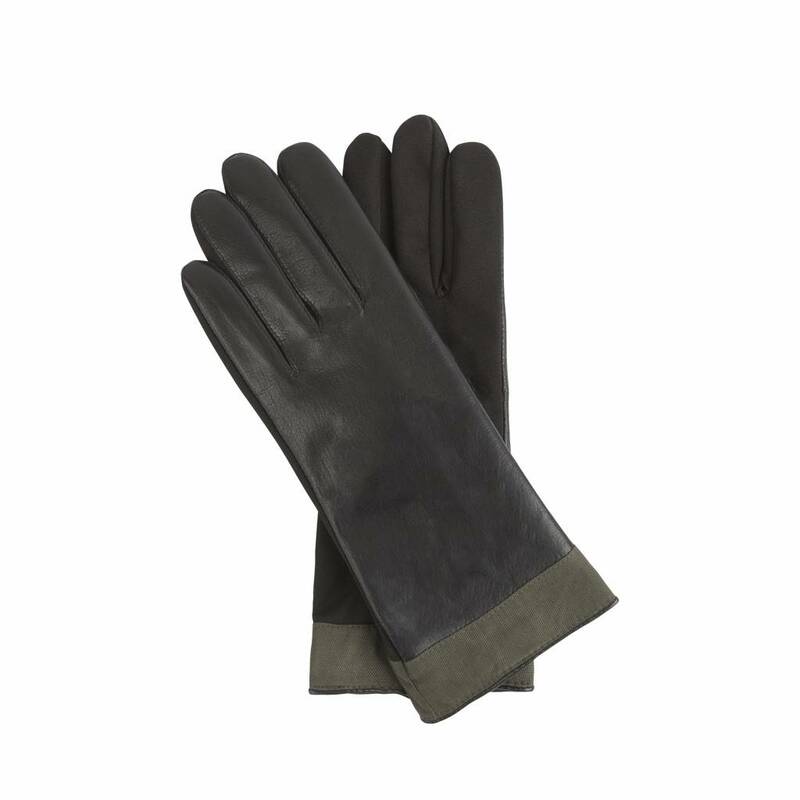 The bottom of the gloves is made of a durable and highly waterproof textile and the inside of a warm 3M-Thinsulate insulating lining.